Bossy Helpers can be described as someone who looks put together, and seems to have all the answers. Bossy Helpers believe they’re not important unless they are useful to others. Bossy Helpers feel compelled to take responsibility for, and to control others. They feel unappreciated and resentful when their efforts to help are not noticed. Bossy Helpers encourage dependency. Sounds exhausting doesn’t it? I’m sure we all know a Bossy Helper. I frequently catch myself moving into the Bossy Helper role. Fortunately, my kids know all about the triangle…and when they recognize my attempt to get in their business…they quickly remind me that I’m being a Bossy Helper. As parents, we can find ourselves quickly jumping into the Bossy Helper (Rescuer) role in any situation where we perceive our children as not handling it the ‘right way’ – the way we think they ‘should be handling it.’ We see this as a shortcoming that we need to fix…as a problem for us to solve. From this place we begin to think things like, “If I don’t do it, who will?”…”It’s up to me to fix it (them)”…”They can’t handle it…I’ll have to take care of it for them.” Of course these unhappy thoughts create feelings of guilt, pity, worry, and disappointment. These unhappy feelings cause us to act as if what we are believing is true. 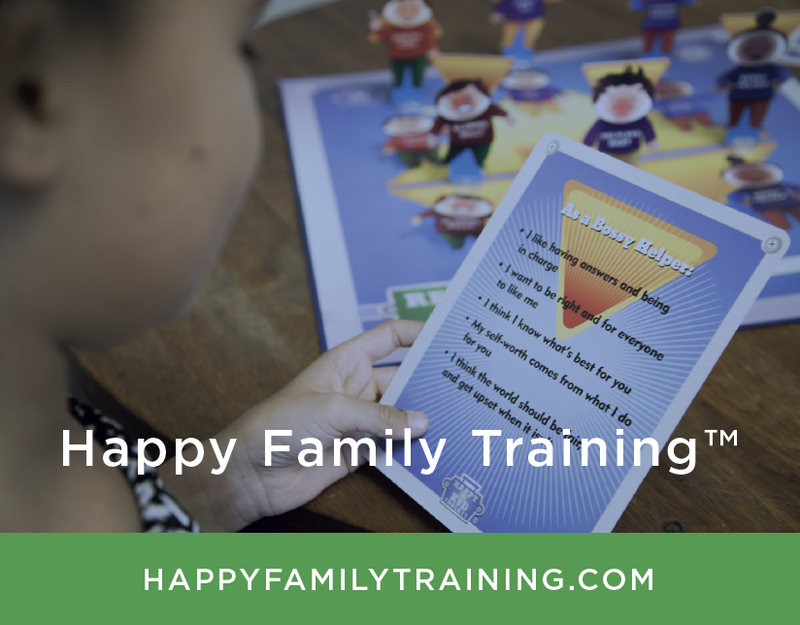 We step into “their business” as an attempt to convince our kids how they should be feeling about and/or handling things…we (Bossy Helpers) have all the answers after all…or do we? I’ll use this incredible example from a recent Happy Family Coaching session. I’ve been given permission to share this story with our readers. Mom hears her two children arguing and fighting over something. Her youngest child Henry (not his actual name) is crying. Moms oldest child Emily (not her actual name) has taken her wristwatch away from her brother (he was playing with it). Emily tells him that he is not old enough to be responsible for such an item. Henry is clearly upset and holding Emily responsible for his unhappiness. Mom steps in to ‘help/rescue’. Mom, Henry and Emily climb into mom’s bed for a bedtime story. As mom begins to read aloud she notices that Emily has completely turned her back and scooted herself as far away from mom as possible. Mom now feels guilty for somehow being the cause of her daughter’s unhappiness. Can you see how this entire event took place all over the Helpless Baby Triangle™? Let’s take the same dialogue as above but let’s add the roles and ‘behind-the-scene’ thoughts and actions…and include the Happy Kid Perspective! Mom: Henry, the wristwatch belongs to your sister. It is her watch and she gets to decide whether or not to share it with you. Happy Kid Perspective: The watch does in fact belong to Emily. It truly is her choice not to share her watch with her younger brother Henry. Henry: But I want it. It’s mine. She let me wear it yesterday. Waaaaa! Waaaa! Happy Kid Perspective: Mom might say, “I’m sorry that you are choosing to be so unhappy about this Henry. I trust that your sister is making the best choice for her right now. She is choosing to take care of herself and you. I trust she knows that if she were to let you play with the watch and something were to happen to it (gets lost, broken, etc. ), that she would be mad at herself for not trusting her own instincts/intuition and could very well get mad at you Henry. Mom: Emily I’m disappointed that you are choosing not to share your watch with Henry. You are going to feel really bad about this later. Emily: (In a loud/angry/frustrated tone) He doesn’t even know how to tell time! 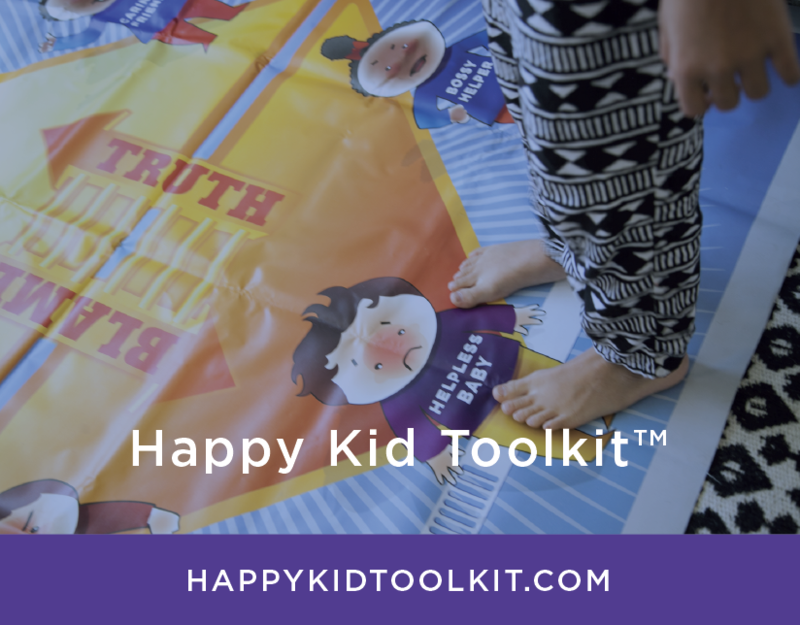 Happy Kid Perspective: When mom responds from a place of trust…Emily is able to move into a happier place where she can begin to trust and respect herself and her boundaries. Emily does not feel shamed for her decision to take care of herself…nor does she feel blamed or responsible for Henry’s unhappiness. Her response might sound something like…”Thanks mom. This watch is very special to me and I would not be very happy with Henry or me if something were to happen to it. Mom, maybe Henry can start saving his allowance to buy a watch of his own…one designed for 6 year olds. Mom: Why don’t you teach Henry how to tell time. That would be a nice thing for you to do for him. Emily: I don’t want to. Mom: Ok that’s fine (but energetically I am really disappointed that you are not doing what I think you should be doing). Happy Kid Perspective: This would not have to play out this way…Mom has taken responsibility for her part as playing the Bossy Helper…Emily is taking responsibility for herself by choosing not to play Bossy Helper with her brother by giving in to his demands to give him her watch. Henry get to see what happens when the people he looks up to and loves begin to take responsibility for themselves. This event took place. We cannot go back in time. But now Mom is armed with a set of effective tools to pull out when she catches herself on the Helpless Baby Triangle™. In the meantime, Mom made the decision (during our session) to own her part and apologize to her daughter Emily for getting in her business yesterday. She is grateful for this unhappy situation that has allowed her the opportunity to see what happens when she steps in to ‘save the day!’ Way to go mom! What a beautiful example she is setting for her two precious kiddos. I hope you have enjoyed this story as much as I have enjoyed reporting it to you. Danielle Alvarez is available for one-on-one sessions (in person or via Skype/FaceTime).